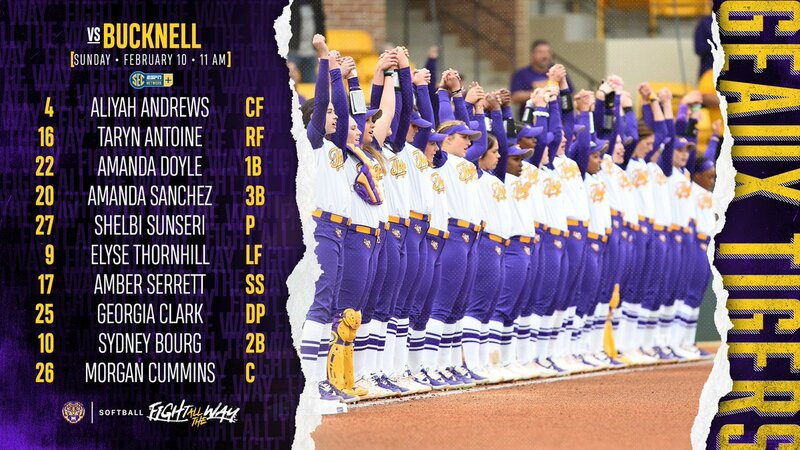 Let's geaux ladies! Great weekend so far, time to finish it off right. A little comparison of this year's team and past teams in this tournament (Tiger Classic). In 2015 LSU went to the WCWS and went 2-2. Losing to the National Champion and runner-up. In 2016 LSU went to the WCWS and went 2-2. One of the losses was to the NC. In 2017 LSU went to the WCWS and went 1-2.